HelloFresh Review: Convenient, Delicious and Healthy Meals! Eating healthy and delicious meals is a priority for our family. 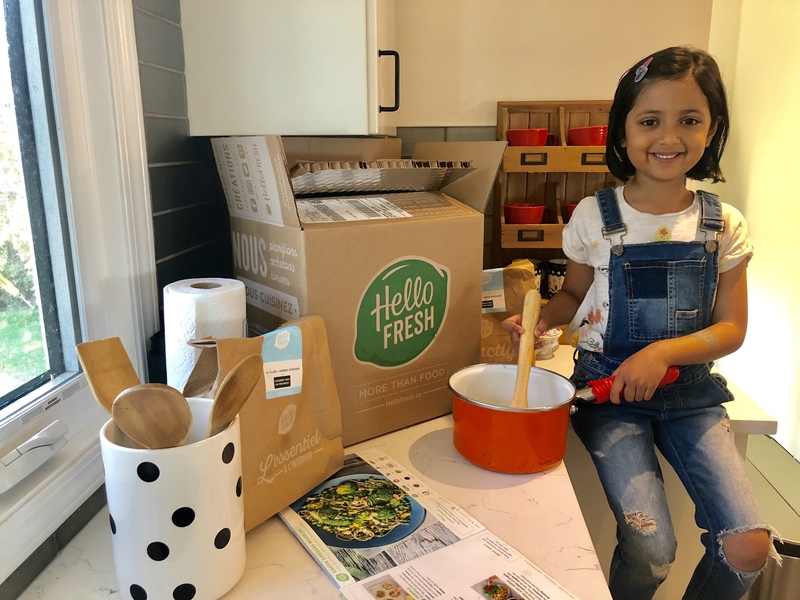 We recently tried HelloFresh, delicious ingredients and simple recipes delivered straight to your doorstep each week, so that you can prepare easy recipes for dinner under 30 minutes. Here is our HelloFresh review! If you want to skip this HelloFresh review, jump right to my $40 coupon URDUMOM off for your first box here. It’s a pretty good deal, considering this is how much the boxes cost. I know that’s what you are thinking so here you go! You choose your plan and your meals and then receive the box full of fresh ingredients and step-by-step recipes of dishes curated each week by a team of in-house chefs and nutritionists at HelloFresh. The ingredients are pre-portioned and packed with iceboxes to keep everything fresh. Just place the bags in the fridge and take out every night to cook a meal by following the steps on the recipe card. The steps were simple to follow and my daughter loved helping me out every night. There was no hassle of grocery shopping or meal planning. The best part was that we got to try things we had not before and loved them! Here are the meals we enjoyed over the week. They were restaurant-quality delicious meals that were balanced and so simple to make! Took us 30 minutes flat! and so much fun to make together as a family. Enjoy $40 off your HelloFresh first box by using the code URDUMOM. Click here to order! We ordered the Veggie Plan because we have been trying to eat more vegetables especially at dinner. The part that I loved the best was that my children enjoyed the meals also. Let me know if you have any questions! You can cancel the subscription at any time, choose your meals, halt for a week and give feedback about all meals. Our HelloFresh review is 10/10!